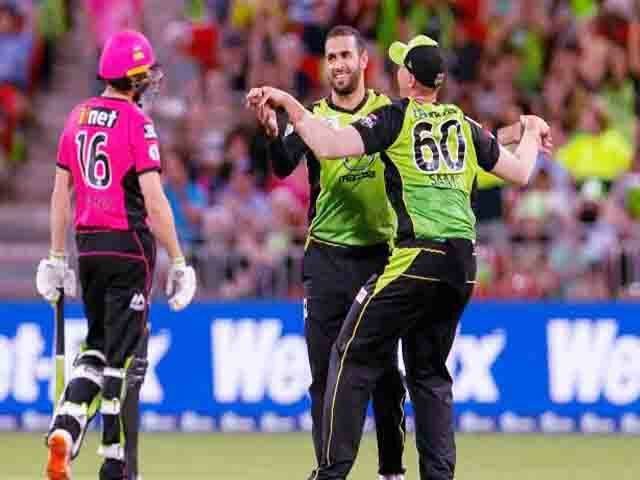 On the back of a thundering half-century from Jos Buttler and three wickets to Fawad Ahmed, the Sydney Thunder have got past their cross-town rivals Sydney Sixers by 21 runs. 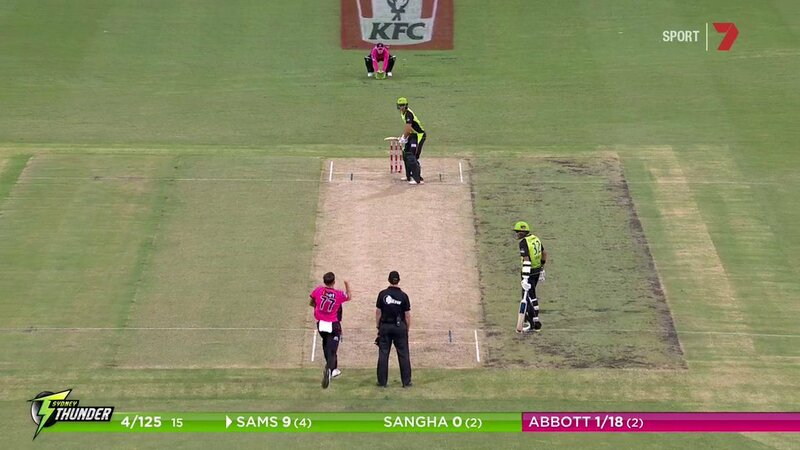 Set 170 for victory at Spotless Stadium, the Sixers’ innings appeared over before it got started. 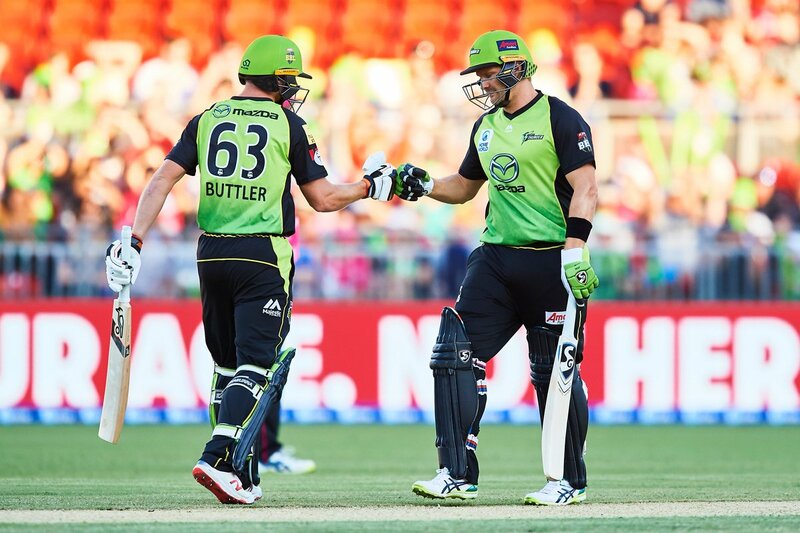 After nine overs, the Sixers were 6-56. 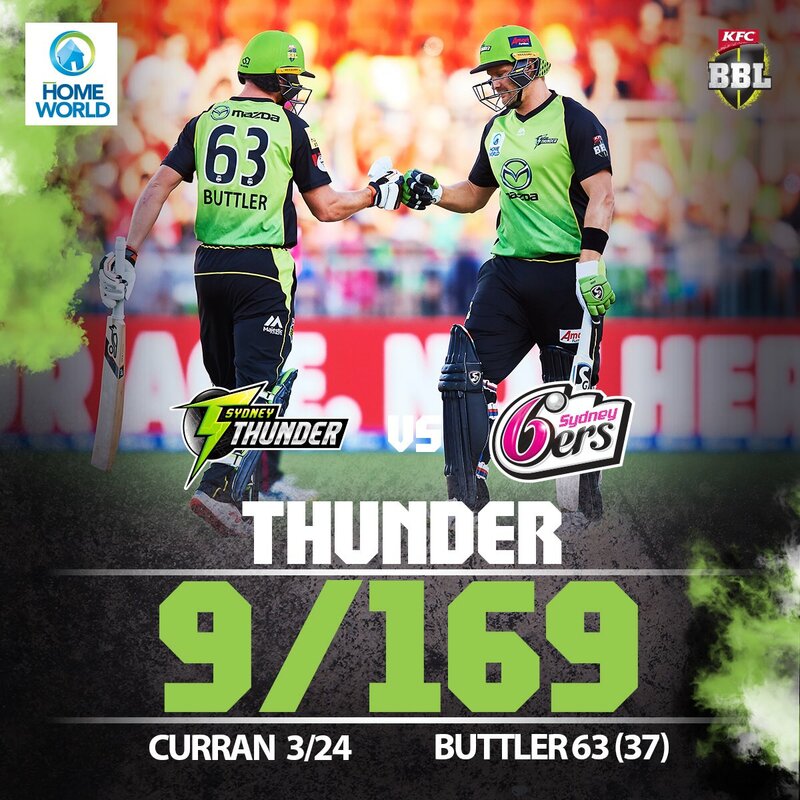 That was until an 88-run partnership between English quick Tom Curran (62 off 40) and Sean Abbott (35 off 28) added some respectability to the scoreboard, but the target always seemed beyond reach as they were finished 9/148. Veteran spinner Ahmed proving to be the destroyer for the home side, grabbing the impressive figures of 3-33. Only three of the Sixers’ top six managed to get into double digits, but each of Moises Henriques (15), Daniel Hughes (13) and Josh Philippe (12) failed to get past 20. Left-arm quick Daniel Sams (3-30), Jonathan Cook (1-17 off 4) and Chris Green (1 for 19 off 3) also bowled well. 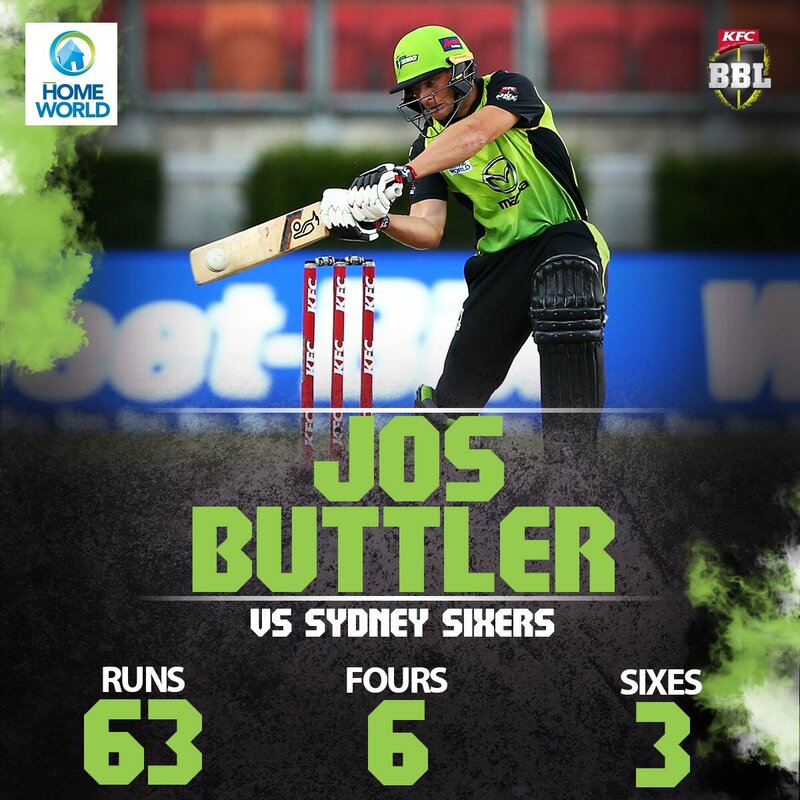 Earlier, English wicket-keeper batsman Buttler powered the home side into a position of strength. The hard-hitting right-hander cracked 63 off 37. He was helped after being dropped by Hughes at slip for six. 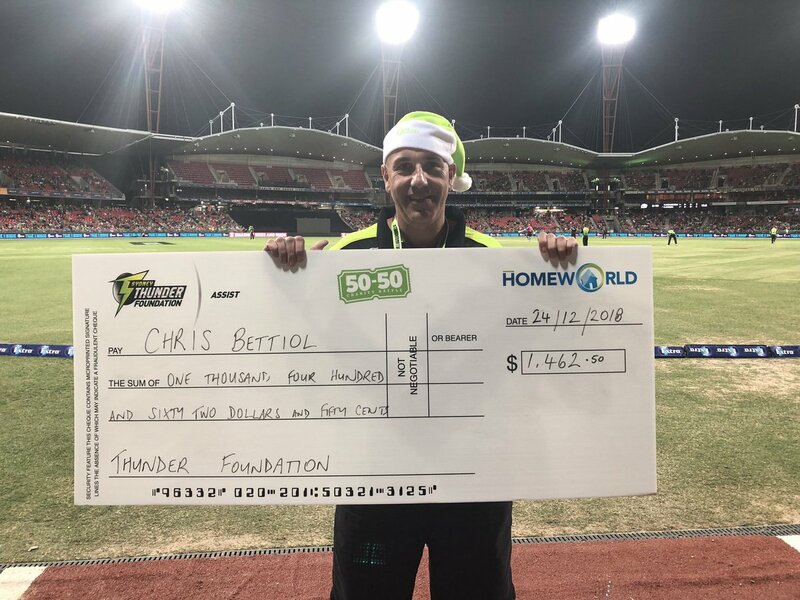 It was a costly blow, one which former Australian spinner Kerry O’Keeffe immediately said in commentary could cost his team the match. No other top order batsman from either side looked completely comfortable on a low, slow wicket particularly against the slow bowlers. Buttler eventually fell trying to slog Australian left-arm spinner Stephen O’Keefe to the fence. 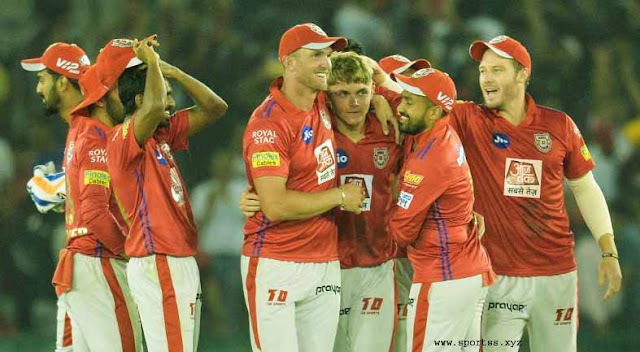 O’Keefe was the pick of the Sixers’ bowlers, taking 2-27, including English captain Joe Root, while Curran also took 3-24. 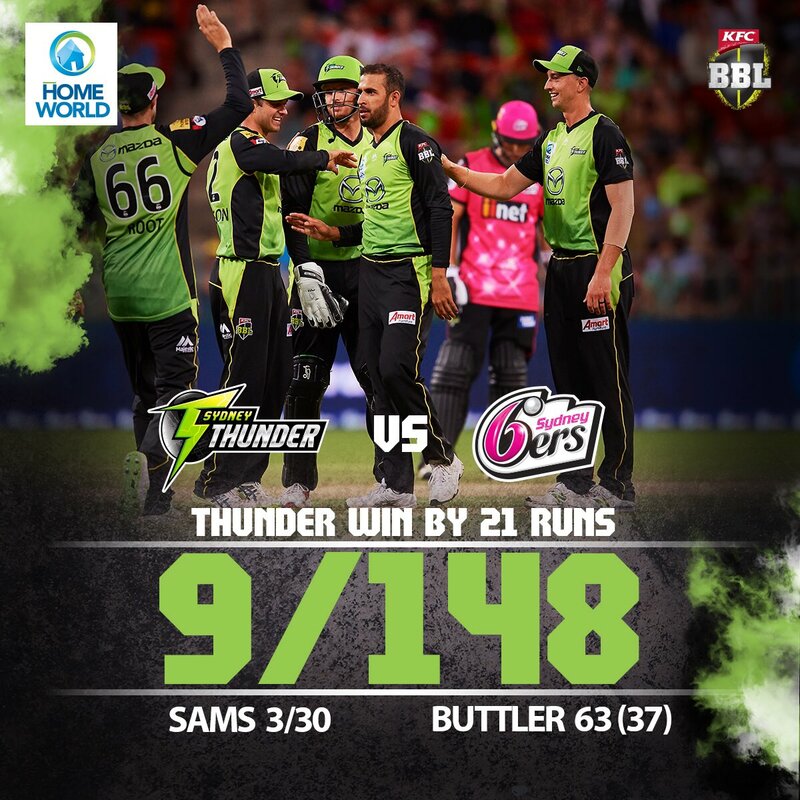 The 21-run victory saw the Thunder join the Melbourne Renegades and Hobart Hurricanes as the only undefeated teams after two matches.